In health care, what do soft cheese, sushi and unpasteurized milk have in common? Turns out these are some of the common food culprits that clinicians caution expectant mothers to steer away from to avoid risk of exposure to harmful substances to the developing fetus. Now, balance that level of practice with the astonishing fact that nearly one-fifth of pregnant women are being prescribed addictive narcotics. Representing less than 5% of the world’s population, America’s consumption of more than 80% of the world’s opioid supply stems primarily from prescription abuse. In second place, abuse of heroin, an illegal opioid, is on the rise as access to prescription drugs tightens. The US opioid and heroin epidemic does not discriminate. Between 2008 and 2012, 39.4% of Medicaid-insured and 27.7% of privately insured women of reproductive age (15–44 years) filled an outpatient prescription for opioid. This escalation has led to the prevalence of opioid use among pregnant women in epidemic proportions. Consequently, more newborns are born exposed to prescription and illicit drugs. These babies suffer from neonatal abstinence syndrome (NAS), defined as withdrawal symptoms experienced by neonates after prenatal exposure to substances, most commonly opioids. If you attended Sg2’s Executive Summit conference last summer, you heard about the obstetric and neonatal manifestation of the larger opioid impact, with one baby being born with NAS every 25 minutes. And the prevalence of this hidden America is rising quickly, with health care organizations observing exponential growth. Recent data showed that from 2004 to 2013, US incidence of NAS increased by nearly 500%. The increase was greater in rural areas, where it increased from 1.2 cases per 1,000 births in 2003–2004 to 7.5 cases per 1,000 births in 2012–2013, approximately 520% growth. During the same period, in urban areas NAS incidence increased from 1.4 cases per 1,000 births in 2003–2004 to 4.8 per 1,000 births in 2012–2013, approximately 240% growth. Costing more than $1.2 billion per year to treat, these babies impose a significant burden on health systems and society and have captured the attention of maternal and child health policy officials at the federal, state and local levels. For communities (rural, urban and suburban) and health systems facing an increased incidence of NAS, developing and strengthening programs through strategic community partnerships can be an effective way to address the needs of NAS patients and their families. Health systems that build high-quality programs spanning the entire System of CARE will be best positioned to manage this complex population in all phases: prenatal community care, acute and postdischarge care. In the community setting, enhancing care coordination by integrating mental health services and addiction therapy with mom’s maternal care at one visit (and one site) can impact both patient and subsequent neonatal outcomes. Health Share of Oregon’s Project Nurture partners with addiction centers and a health system–operated midwifery clinic to provide services to NAS infants and their mothers, while promoting a safe and transparent environment. This program found that women who begin addiction treatment while expecting are 3 times more likely to be sober 1 year later than those who began treatment when not pregnant. According to the program medical director, “Pregnancy can be a powerful moment for caregivers to intervene and put a mom back on the road to recovery.” This model underscores the importance of health care providers’ role as gatekeepers to health services designed to effectively manage opioid addition, where care is nonjudgmental and focused on the needs of the mother and on preparation for delivery. The acute setting is where we have seen Sg2 clients demonstrate the most progress in postdelivery treatment of NAS, minimizing system impacts on these babies. Multipronged care models that include dedicated space, increased staffing and established medical management protocols where mom is central to delivery of care to her baby have led to reductions in patient length of stay and downstream readmissions, net savings and an empowered mom. That’s the good news. Here’s the tough part. What do you do when moms are disengaged from their babies, leaving the entire care of these babies in the hands of the nursing staff? This is a scenario very much in play across neonatal intensive care units (NICUs) today. Caring for NAS infants can be emotionally trying and physically demanding. To mitigate burnout, it is vital to provide nurses with effective solutions and structures as part of a dedicated system-wide approach to supporting and caring for staff well-being. Successful strategies include staff rotation serenity spaces for nurses offering a place to recharge in the middle of their day, mindfulness, meditation and yoga classes, as well as empathy, communication and resilience workshops. For nurses working with ethnically diverse populations, discussions regarding cultural competency may also prove to alleviate stress, improve communication and mitigate otherwise deteriorating relationships with the baby’s parents and relatives. The final phase, the postdischarge period, is also an important element of the care continuum equation. No doubt, these are very complex populations to care for. The harsh reality is that mom’s opioid addiction is not going to miraculously disappear upon discharge—she will continue to need support from the health system and its community partners to work through any challenges she faces. And the baby has a tough road ahead as well. NAS babies face a higher risk of developmental delays. Hospital programs such as the NAS Program at Massachusetts General Hospital’s Newborn Developmental Follow-Up Clinic work with community organizations like Jewish Child & Family Services as well as the Early Intervention Program (IDEA Part C) to help provide mental services for mom and in-home visits supporting the growth and development of the child. Today, newborns addicted to prescription and illicit opioids are the fastest-growing patient population entering America’s hospitals. This phenomenon is reflected in Sg2’s neonatology forecast, with national projections of 2% growth in 5 years. Funding and legislative initiatives designed to improve care for pregnant women and their neonates emphasize the need for coordination and collaboration among community and health system providers to reduce the burden from prenatal opioid abuse. Assess the level of opioid and heroin addiction in your local community and in outlying areas. Leverage data from hospital EDs, NICUs, law enforcement, community addiction centers, and public and state health departments to understand the prevalence of addiction and how it may affect need for NAS services. Educate clinicians and care team and dispel stigma around addicted patients to build trust and safety for expectant mothers. Leverage resources to shape best practices for treatment of addicted moms, including medication and addiction counseling. Forge partnerships and alliances in the community that include, but are not limited to, community addiction centers, behavioral health providers and public health departments. These partnerships can help bridge gaps in services, ensuring patients receive the care they need locally and in outlying areas. Sources: Desai RJ et al.Obstet Gynecol. 2014;123:997–1002; Manchikanti L and Singh A. Pain Physician. 2008;11(suppl):S63–S88; Ailes EC et al. MMWR Morb Mortal Wkly Rep. 2015;64:37–41; Krans EE and Patrick SW. Obstet Gynecol. 2016;128:4–10; Stempniak M. Tiny, opioid-dependent babies a massive problem; how health care could save billions. H&HN. June 3, 2016; Sg2 Interview With Massachusetts General Hospital’s Newborn Developmental Follow-Up Clinic, 2016; Health Share of Oregon. Project Nurture website. Accessed January 2017; Sg2 Analysis, 2017. 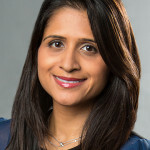 As director of pediatrics on Sg2’s Intelligence team, Hema leverages more than a decade of experience to provide strategic thought leadership for children’s hospitals and pediatric programs across the country. Her expert insights range from emerging trends impacting pediatric service lines to improving health care quality for children to market-specific opportunities for key clients.